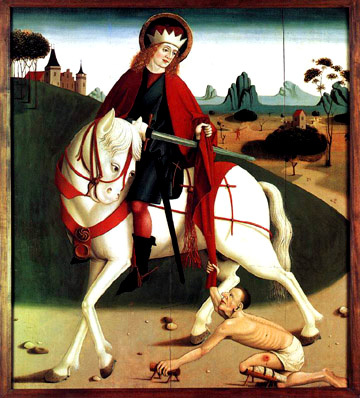 Today, November 11, is the Feast of Saint Martin or Martinmas. In Church tradition, beginning the day after Martinmas, from the late 4th century (following hard upon the death of Saint Martin) to the late Middle Ages, much of Western Europe, including England, engaged in a period of fasting as strict as that of Lent, the fast that became known as “St. 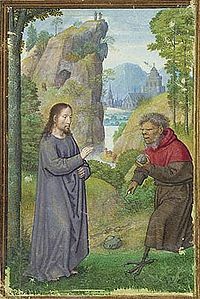 Martin’s Lent” or “St. Martin’s Fast”, also the “the forty days of St. Martin”. At St. Martin’s eve and on the feast day itself, people surfeited themselves with meat and drink for a last time before they started the forty-day fast. This time of abstinence before the Feast of the Nativity (Christmas) came to be called Advent by the Church. Those forty days take us through December 21, which is the winter solstice – or the Sol invictus (the birthday of the “victorious Sun”) of the pagan observance of the later Roman Empire, this fortieth day of fasting being, it seems quite likely, a careful avoidance by Christians in acknowledging this pagan feast. 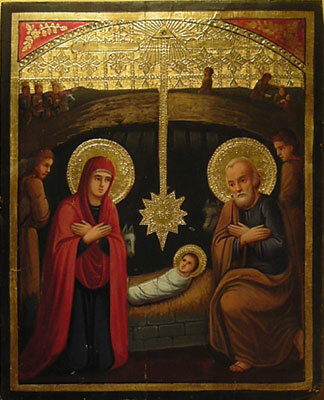 It is entirely possible that the date of the Feast of the Nativity was already fixed by the Church at December 25 even a few generations before this time. 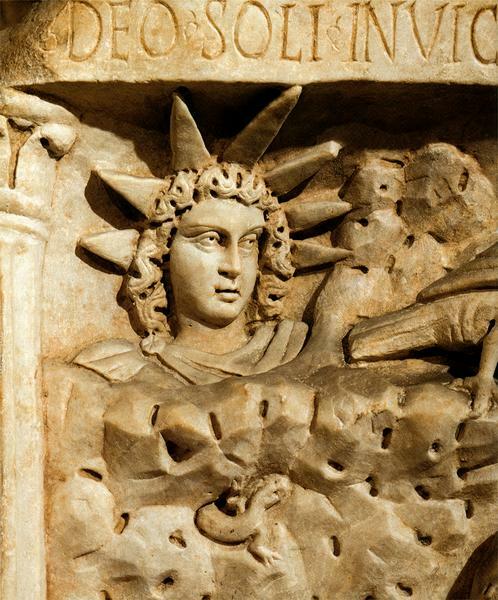 If this was so, Christians would have understood themselves to be celebrating on this date the birth of the true “Sol invictus”, the Lord God as “Sun and shield” (Ps. 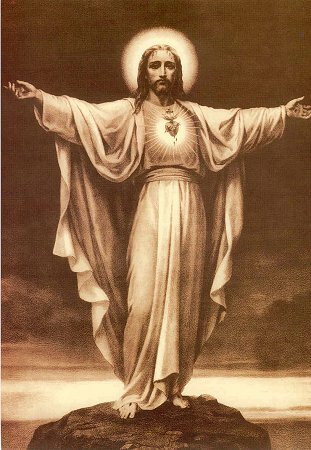 84:11),the Christ Jesus as “the Sun of righteousness” (Mal. 4:2). However, let us return to this matter of fasting. With the Reformation came a relaxation of the fasting rule for Advent, as eventually also with Lent, among Protestants, with the Roman Catholic Church following some centuries later in regard to Advent, though still keeping it as a season of penitence. Given these relaxations in the West (with a toe-hold exception in the idea of “giving up something for Lent” that has prevailed over the last several generations among Catholics, as well as among Anglicans and Lutherans), one might easily come to the conclusion that fasting as a meaningful religious or spiritual practice has by now, at least in the West, devolved into complete obsolescence. We hear of fasting for health reasons, but, in regard to its relevance to spiritual life, there seems to be a tacit assumption that post-modern humanity is now liberated from this ancient custom (“Fasting is an institution as old as Adam,” states Mahatma Gandhi. “It has been resorted to for self-purification or for some ends, noble as well as ignoble.”) This, despite the fact that the Eastern Orthodox still to the present day observe the rule of strict fasting for the “forty” days of Advent (actually somewhat longer, because their Advent begins six Sundays before December 25), together with a strict observance of Lent, in addition to observances of other strict fasts throughout the Church year. I want to mention something here that will seem outlandish to most people. This is the matter of fasting. Consciousness of the meaning of fasting has been completely lost. Fasting is enormously significant, however, for rhythmizing our astral body. What does it mean to fast? It means to restrain the desire to eat, to block the astral body in relation to this desire. One who fasts blocks the astral body and develops no desire to eat. This is like blocking a force in a machine. The astral body becomes inactive then, and the whole rhythm of the physical body with its innate wisdom works upward into the astral body to give it rhythm. Like the imprint of a seal, the harmony of the physical body impresses itself upon the astral body. It would transfer much more permanently if the astral body were not continuously being made irregular by desires, passions, wishes, including spiritual desires and wishes. The whole of waking life is a process destructive of the physical body. Illnesses are caused by excessive activity of the astral body. Eating to excess affords a stimulus to the astral body which reacts in a disturbing way on the physical body. That is why fasting is laid down in certain religions. The effect of fasting is that the astral body, having greater quiet and less to do, partially detaches itself from the physical body. Its vibrations are modulated and communicate a regular rhythm to the etheric body. Rhythm is thus set going in the etheric body by means of fasting. Harmony is brought into life (etheric body) and form (physical body). In other words, harmony reigns between the universe and man. For truly, I say unto you, if you have faith as a grain of mustard seed, you will say to this mountain, ‘Move from here to there,’ and it will move; and nothing will be impossible to you. But this kind never comes out but by prayer and fasting. 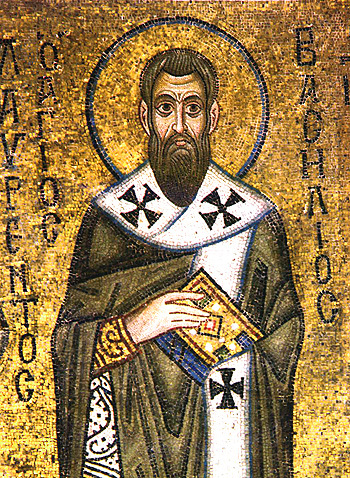 Faith and prayer, prayer and fasting, asserting will over appetite, joining rebel will to God’s will, making the voice of prayer audible to Divine Mercy through voluntary hunger, making it “loud” in heaven through effort founded on suffering (see Letter XIII Death in Meditations on the Tarot, p. 349) – this ultimately means, according to Augustine, to “enter again into yourself”. There is both a physical and a spiritual fast. In the physical fast, the body abstains from food and drink. In the spiritual fast, the faster abstains from evil intentions, words and deeds. One who truly fasts abstains from anger, rage, malice, and vengeance. One who truly fasts abstains from idle and foul talk, empty rhetoric, slander, condemnation, flattery, lying and all manner of spiteful talk. In a word, a real faster is one who withdraws from all evil. We would completely misunderstand Basil were we to believe that he is denigrating physical fasting. He is not. He is saying that we abstain periodically from food in order more easily to abstain from sin. Periodic abstaining from food will lay a firm foundation for fasting from wayward thinking, wayward feeling, and wayward doing. “As much as you subtract from the body,” he advises, “so much will you add to the strength of the soul.” Clearly, the young Martin, even when so young, was a “real faster”. Withdrawing “from all evil”, his fasting bore the most wonderful fruit of truest prayer, which is an all-encompassing warmth made manifest in deeds of compassion and love. 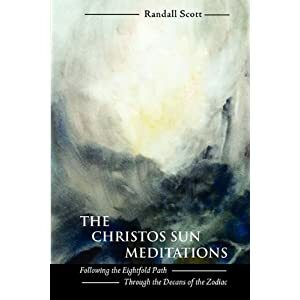 We achieve a certain spiritual result not by bringing our earnest desires into play or being occupied with them, but by subduing our wishes, restraining our desires, and foregoing their satisfaction. . . . While one becomes stronger in the physical world if one eats well and is nourished and thus has more energy, one will achieve something significant in the spiritual world – this is a description and not advice – when one fasts or does something to suppress or renounce wishes and desires. Preparation that involves relinquishing the wishes, desires, and will impulses arising in us is always part of the greatest spiritual endeavors. All moral effort, all spiritual striving, all attempts to achieve great results in the spiritual world, will prove effective, Steiner is telling us, only insofar as this effort, this striving, is based on active and continuous renunciation. Surely, therefore, when it comes to fasting, we can learn everything we need to know from the Holy Virgin. In greatest clarity the Gospel tells us that she pondered in her heart the events of her life (Luke 2:19), seeking in those events an understanding of God’s will for herself, God’s will for humanity, God’s will for the Earth. Of all human beings, she is the greatest exemplar of the path of renunciation. Surely, were we only to ask, she would be radiantly glad to share the secret of that spiritual fast which frees the soul from slavery to things, which strengthens the soul in faith and hope, which makes the soul ever-watchful for the Lord Jesus Christ, ever-ready to greet the Son of Man coming with the clouds in great glory – who is the One seeking to enter the purified heart, who is the One that is the true Sol invictus, the Sun of righteousness: who is the One born at midnight in the Bethlehem of every simple shepherd’s heart.